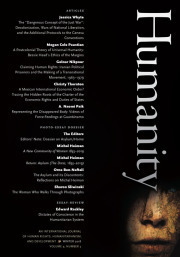 This post is part of a roundtable discussion on two historiographic articles by Joseph Hodge published in recent issues of Humanity. For more about the roundtable and all currently available posts please see this page. This is a very ambitious article in terms of themes, historical periods, world regions, and types of writings. Its overall theme is development, an extremely broad idea. (So far as I know, Hodge never defines it explicitly in abstract terms, although it appears he means by it progress in nation-states.) Initially it meant mainly economic and social development, themselves big ideas. Over time other broad dimensions have been added such as political development (briefly and sporadically), and more persistently environmental, gender, cultural, security, infrastructural, and various other aspects of national development (or decay). Hodge’s main periodization of events and ideas about them is 1945-1980-1990-2000-2010/15. In the last part of his article he also deals with recent scholarship about development efforts in the colonies by imperial powers in the late 19th and first half of the 20th centuries. His geographic scope is East, South, and Southeast Asia; Africa; the Middle East; and Latin America. There is also briefer treatment of development in the “First World”, for example, the TVA in the United States. As the foregoing suggests, a major feature of Hodge’s approach is that it provides an explicit matrix of themes to be addressed over a 55-60 year period in most of the world produced by two different sets of writers. In one sense that is a virtue, but it is also a very tall order, much of which he does not deliver. He is most successful in his survey of “the new histories” of development “on the ground” since 2000. He is least successful in his history of development ideas from 1945 to 1990. The mistakes he makes about the earlier period matter greatly both per se and because getting the past right is crucial to understanding the present. Surely Hodge agrees on this principle if not necessarily on the facts. Now to the period 1945-1990. Hodge is correct that early in this period there were writings first on economic and social development mainly by economists, and then on political development mainly by political scientists. But it is misleading to give them more or less equal billing and attention as he does. The numbers of people writing on economic and social development were far greater than those writing about political development. Economic and social development have been major goals of U.S. diplomacy and foreign aid since the Marshall Plan and aid to Greece and Turkey in the late 1940s, and also major foci of research and writing among economists and others throughout the world. By contrast, nobody even used the term political development until the early 1960s; thereafter its use was sporadic; and government programs for political development were always fewer and much weaker than those for economic and social development . Moreover, the idea of political development, even when used, was considered much more problematic than the ideas of economic and social development. Here it is necessary to introduce the name Samuel P. Huntington. Hodges refers to Huntington once in connection with his Clash of Civilization writings in the mid-1990s but never even mentions him in relation to political development, even though Huntington was certainly the most important political-development theorist in this period. Huntington wrote a series of brilliant scholarly articles in the mid-1960s, the most influential and important of which was “Political Development and Political Decay” in World Politics (1965). Parts of all the articles were included in his classic book Political Order in Changing Societies (1968). Huntington´s main contribution, and it was enormous, was to put political organizations and institutions at the center of his theory, as causal agents in their own right, rather than as dependent on the vast economic, social, cultural, and psychological forces that were the focus of earlier modernization theories. Huntington´s intellectual importance was huge, as is the long-term importance of his work, but his influence on the political-development branch of development theory was strangely but heavily constrained in several ways. First, after the 1965 World Politics article, Huntington largely dropped the use of the term political development, or even the term political modernization, a phrase from the title of another of his articles. Such a modification may seem trivial, but it was not. Second, his views were not only praised but also strongly attacked. Huntington favored political order as a prerequisite for other social, economic¸ and political good things (such as the rule of law, human rights, democracy). He was correct to do so, but the second half of the 1960s was not a good time to be a champion of political order. Much of the reaction was emotional and political as much as, if not more than, intellectual, but it was still very effective. Moreover, the political/intellectual hostility to Huntington and his ideas overflowed into the whole short-lived political-development enterprise, including the modernization theory branch of it. Hodge is virtually silent about Marxism, world-systems theory a la Immanuel Wallerstein, and dependency theory and their influences on development ideas. In a footnote (I, note 7) he cites a few Marxist writers (e.g. Paul Baran, A.G. Frank) in the context of a comment about historical approaches to development and as critics of modernization theory, but says nothing further about their ideas and or even that they are Marxists. He mentions, without further comment, dependency theory once at the end of a sentence about the line of continuity starting with the structuralist Raul Prebisch. But that is about all we read on any of the above. Hodge also seems never to have heard of Fernando Henrique Cardoso, one of the two most widely read dependency writers and the most highly regarded one. Indeed, especially in the United States and Latin America, Cardoso’s writings had a massive influence and were almost uniformly praised and rarely criticized except by others in the Marxist tradition. Nothing is said about Cardoso or his work in Hodge’s article. The title of Frank´s most influential book, which Hodge cites in another context but otherwise ignores, is Capitalism and Underdevelopment in Latin America (1967). The title of Cardoso’s most influential book is Dependency and Development in Latin America (1979) (with Enzo Faletto). These titles would seem to be hard to miss in a literature search on development writings by authors of their stature. That Hodge’s omissions matter greatly is obvious for many reasons. But there are also less obvious reasons. Since Hodge has nothing to say about Marxism, it cannot be part of his notion of the impasse in development studies, and it is not. Instead, for him impasse does not involve irreconcilable forces; it just involves a collapse of one force, namely, the old development ideas of state-led industrialization and modernization, a la the quotation from Wolfgang Sachs that opens his article. (Sachs does not use the term impasse.) Citing Leys, 1996, Hodge redefines the term impasse to a meaning (collapse) nobody else (except perhaps Leys) uses. I believe that one reason for the malaise in development studies since 1990 is the impasse in the conventional sense described above. In that sense, according to Hodge, there is no impasse. For him, all development theory is dead and has been for over twenty-five years. Except, claims Hodge, for neoliberalism, which he says killed off the other theories in one decade (1980-90), has been hegemonic ever since, and up against which the new histories “on the ground” are pushing. Again, as with the period 1945-1980, Hodge’s post-1980 history at the national level is so schematic that it cannot help but mislead. His blanket term for the whole 1980s decade everywhere is neoliberalism. This has two major problems. The first is that in both scholarly and popular writings, the term has been used as an epithet at least as much as a serviceable scholarly concept. In Latin America, for example. the original meaning of neoliberalism was raw, savage capitalism of a sort that sometimes occurred in the late nineteenth and early twentieth centuries. Since 1930, however, there have been few if any countries in the region where neoliberalism in that sense has been a national development model. Claims to the contrary are usually misinformed and often polemical rather than scholarly. Hence Hodge’s blanket term for 1980-1990 world-wide is probably accurate in zero countries in Latin America. There is no space here to deal with other regions. The second problem is Hodge´s failure to acknowledge any variation over time, space, concept, or policy in the kinds of development models and practices that have been used, whereas in fact the variations have been large. From the 1930s to least the end of the 1970s, most Latin American countries were state capitalist. Cuba has been socialist from 1960 to the present. Chile was socialist 1970-73 and Nicaragua 1979-1990. In 1975, Chile began its journey away from socialism (1970-73) and state-capitalism (1938-70) toward social capitalism and has been so ever since. Colombia got an even earlier start but without the same follow-up as Chile. In the 1980s and 1990s, slowly at first but with growing velocity, most other countries shifted toward less state and more market — but at different rates and with different mixes in different places. “Neoliberalism” captures none of the foregoing variations. Nor does it capture the fact that some countries that moved toward markets in the eighties and nineties returned later toward state capitalist and socialist spaces. Among these countries are Venezuela, Bolivia, Ecuador, Argentina (before Macri), and Brazil. There is a third nonobvious reason why erasing from history the influence of Marxism and dependency theory matters greatly. Recall that Hodge makes the claim that the end of the Cold War in 1989 meant the complete triumph of neoliberalism. There is no doubt historically that Marxist and dependency writers had been influential for decades, but by first denying they existed and then implying they stopped functioning only because the Cold War ended, Hodge is conveying the idea that all along they were writing on the side of Communism­ and that when Communism ended, they quit. I disagree. Yes, the end of the Cold War was a blow to Marxism and dependency theory, but I am not willing to conclude that their authors were Communists all along. In my view they were mistaken but not necessarily Communists. Nor do I agree that ideas about socialism and Marxism have been dead since 1990. Wounded, yes, but not dead. Above I mentioned countries in Latin America where there are or recently have been socialist and Marxist governments. In addition, most other countries in that region without such governments still have oppositions where those ideas are important. As I write, even in the United States an avowed socialist for his entire political career, Senator Bernie Sanders, is running a strong second behind Hillary Clinton for the Democratic nomination for president, and very few indeed would say that current President Barack Obama is a neoliberal. The Stages of Development’s History? In our new issue we feature Jessica Whyte’s piece on Just War, Decolonization and the Geneva Conventions. Also in this issue are essays on humanitarianism, postcolonialism and the fiction of Bessie Head, the international movement for Iranian political prisoners, Mexico’s contribution to International Economic Order, filming force feeding in Guantanamo, and a photo dossier on Asylum/Home. We end with a review essay on the humanitarian conscience. If you are not a subscriber, you can sign up now.